Unless you live in Florida, you are probably experiencing some frigid temperatures. It is crazy cold here today. Grab a cup of hot chocolate and snuggle in a blanket. However, if you desire to go outside I have a fun suggestion for you. 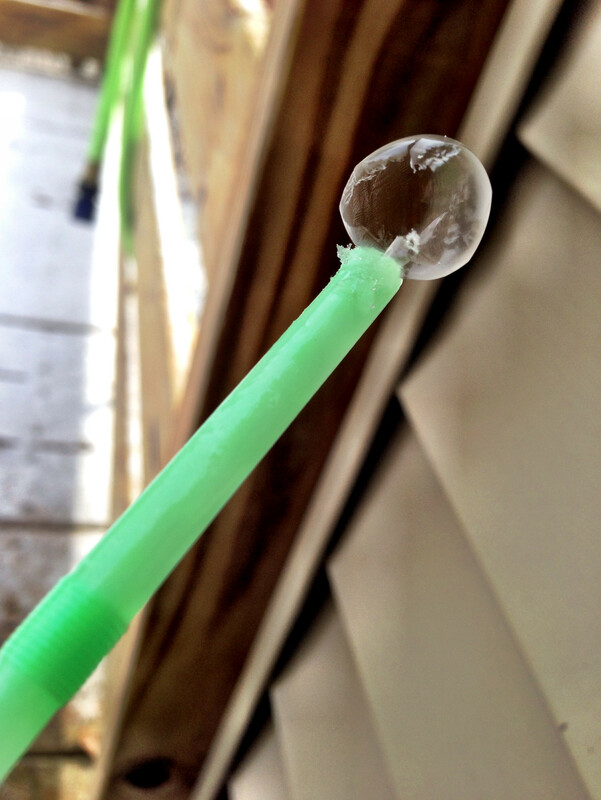 If you are on Pinterest you may have seen a pin floating around about frozen bubbles. 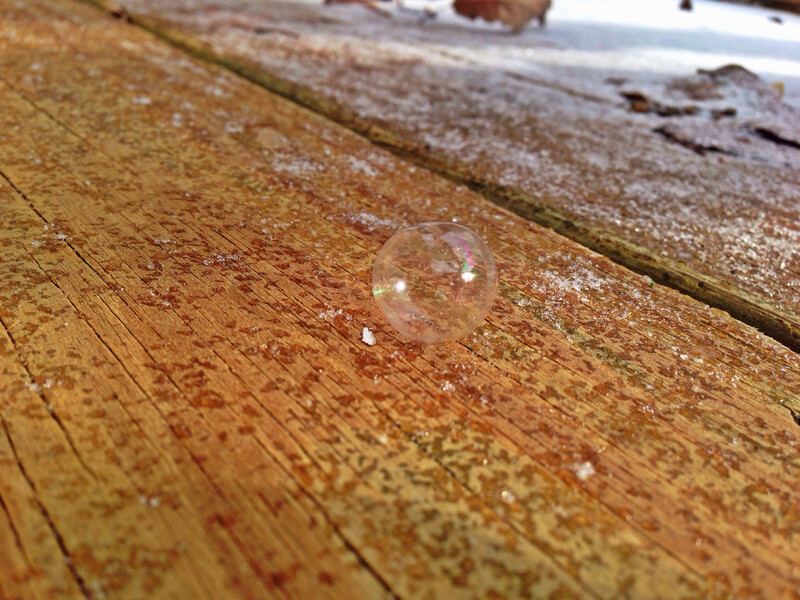 When it drops below freezing take some bubble solution outside and start blowing bubbles. 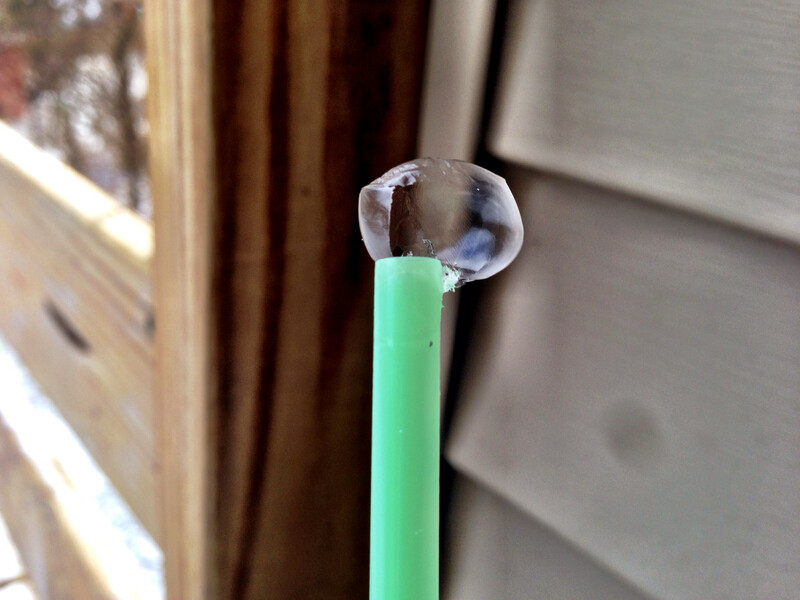 If you have a wand, you can catch your bubble and watch it freeze. 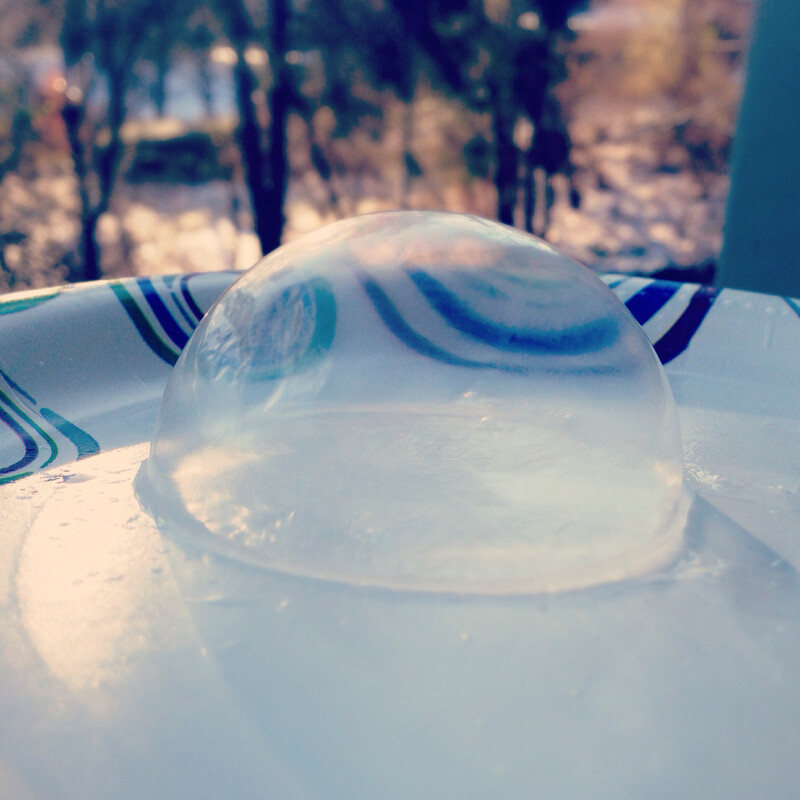 Or you can blow a bubble onto a plate (a half bubble). 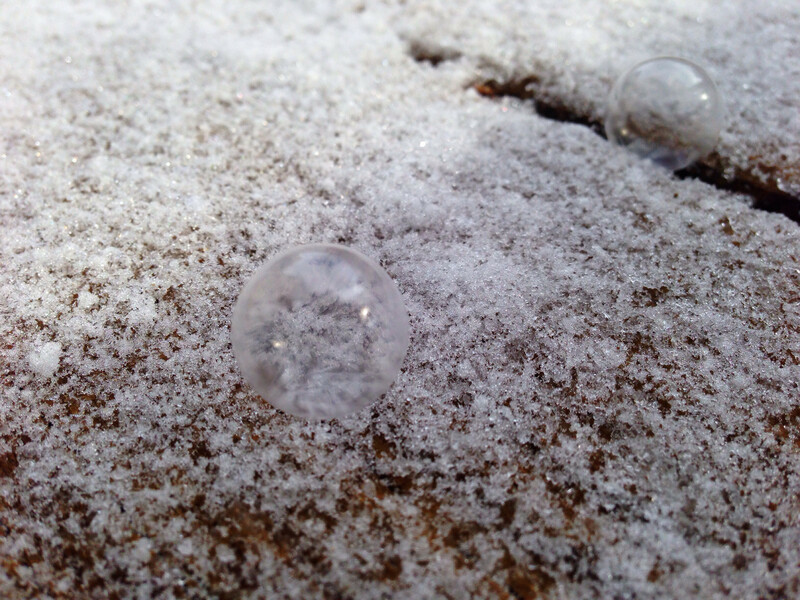 It was rather windy here today, and many of the bubbles did not want to land and popped as soon as they touched the snow. It was really fascinating and quite beautiful. This entry was posted on Monday, January 6th, 2014	at 12:08 pm	and is filed under life., photography	. You can follow any responses to this entry through the RSS 2.0	feed. Both comments and pings are currently closed.